As the flow of refugees and migrants into Europe from the Middle East and Africa continues to grow, more countries are seeing the creation of violence-plagued “no-go zones” where police are not welcome. The violence is creating areas where police will encounter riots if they try to patrol and forestall any outbreaks of violence. 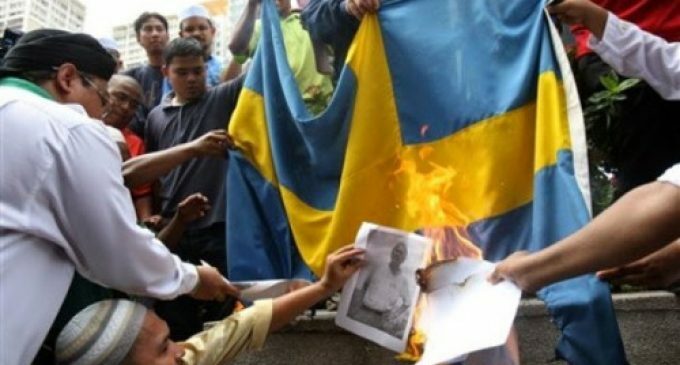 Find out just how widespread the problem is becoming in Sweden and the nature of the violence in no-go zones. The story continues on the next page. Don’t let it happen here !!!!!!!! And you want this here? Hey Glenn did you know that people were actually living here when your ancestors got here and invaded?? Time for boots on the ground! Hey, POTUS! Let’s loan ’em some troops & execute every muslim combatant we find.